The Wood River Valley’s reputation for giving back and taking care of the people in our community is both well known and well deserved. 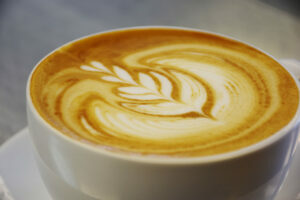 There is no shortage of people, places and worthy causes in which we can invest our time, money and energy. And, with an estimated 215 non-profit organizations in Blaine County, there is an abundance of outlets for interests, causes and cares that align with your personal values and beliefs. 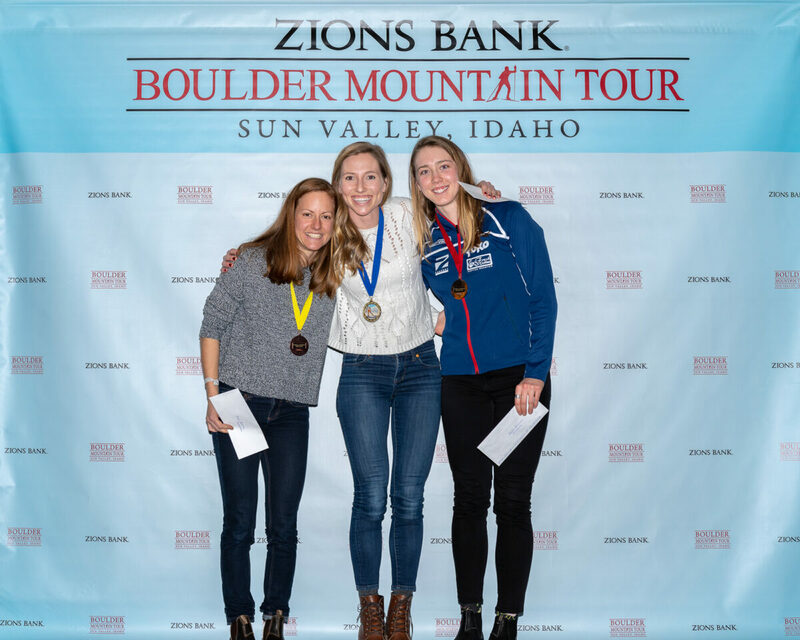 The Zions Bank Boulder Mountain Tour partnered with 24 nonprofit organizations this winter, having a direct financial impact on 13 organizations and working with another 10 in conjunction with staging the Boulder Mountain Tour, a cross country ski race run annually on the Harriman Trail since 1973. 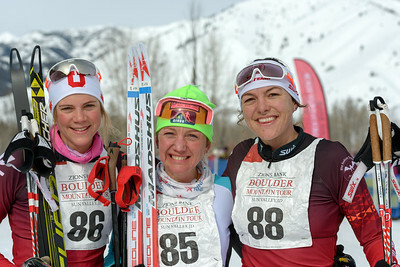 Sloan Storey, a graduate of University of Utah and Wood River High School and alumna of the Sun Valley Ski Education Foundation’s cross country program, skied in the 2019 Boulder to raise funds for The Hunger Coalition. 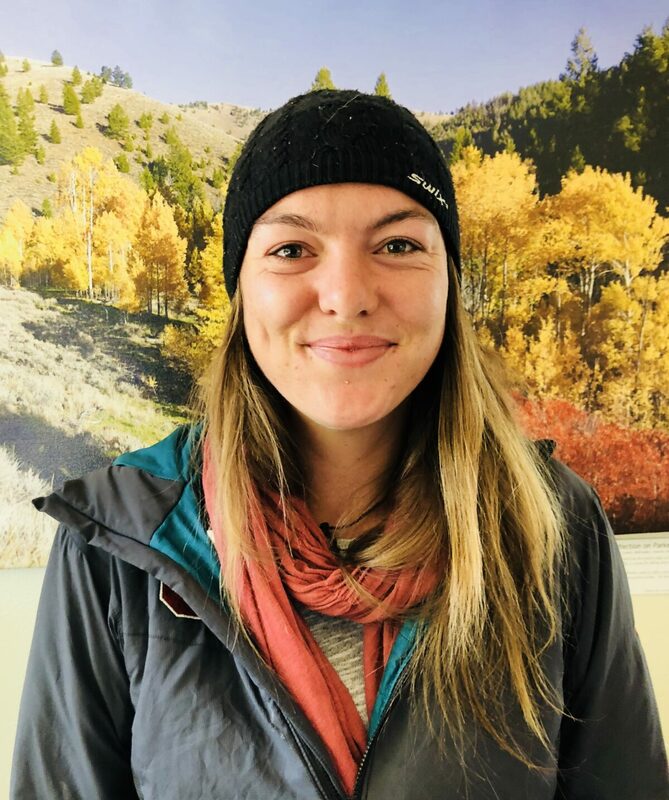 Sloane works as a program coordinator in the summer driving the Hunger Coalition’s Bloom Truck which brings both food and – in conjunction with the Ketchum Community Library – books to children in isolated neighborhoods in Blaine County. Sloane raised $8,100 to purchase healthy food for local families, and surpassing her original goal of $6k, enough money to cover the cost of lunches for Bloom. BMT participants who signed up in December helped fund a $535 donation to the Pancreatic Cancer Action Network in memory of Jon Engen, an iconic member of the Nordic community who died of the disease in April 2018 and in whose honor the race was held this year. 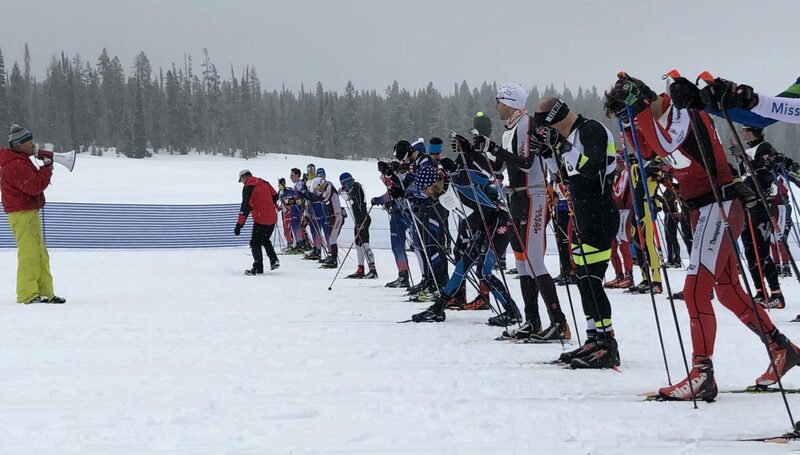 In recognition of Taul Paul, founder of the Galena Backcountry Ski Patrol who is retiring after 32 years of service, the BMT donated $1,000 to the organization for their constant and invaluable presence in ensuring the safety of the BMT participants on race day. The 2018-19 SVSEF Gold Team with coach Chris Mallory, Adam Luban, Cate Brahms, Maddie Morgan, Katie Feldman, Peter Holmes and Kevin Bolger. 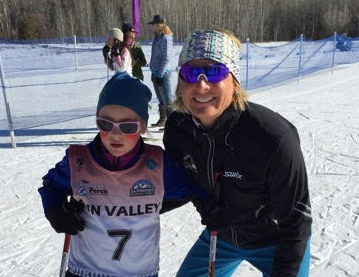 The BMT’s current cause is the Sun Valley Ski Education Foundation’s Gold Team. Founded in 2001 to aid elite athletes in their quest to be the best in the world, the Gold Team boasts several alumni who have gone on to Olympic and Paralympic glory, including snowboarders Kaitlyn Farrington (gold medalist), Chase Josey, and cross country skiers Morgan Arritola, Simi Hamilton, and Jake Adicoff. 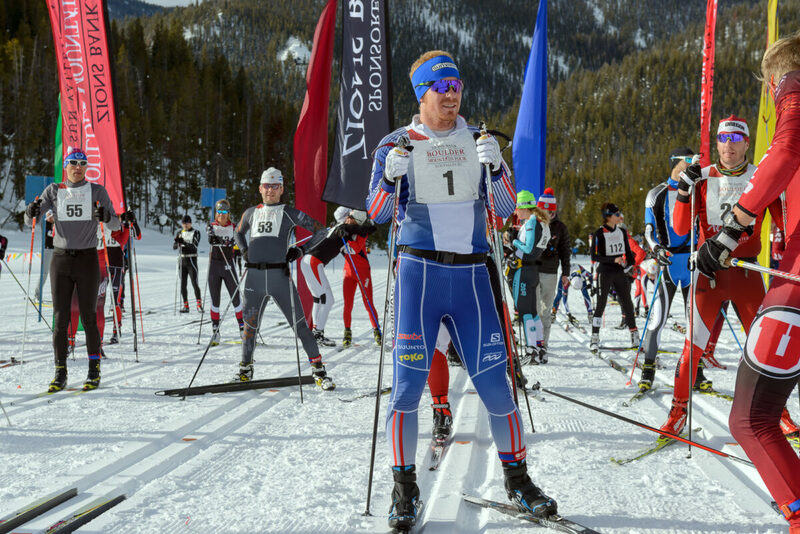 Scaled back last year to refocus on Nordic skiing, the SVSEF Gold Team is comprised of six elite racers, including Kevin Bolger, who just completed his inaugural season with the U.S. 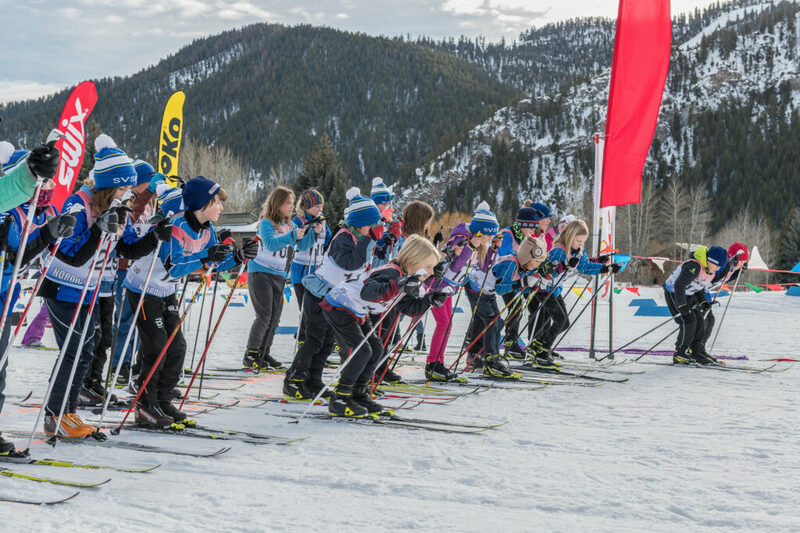 Ski Team and was nominated to the 2019-2020 Cross Country B Team. Also on the gold squad; 2019 Zions Bank Boulder Mountain Tour champion Peter Holmes, Adam Luban, Katie Feldman (second in the 2019 BMT), Maddie Morgan, and Cate Brahms. The team is coached by Chris Mallory. 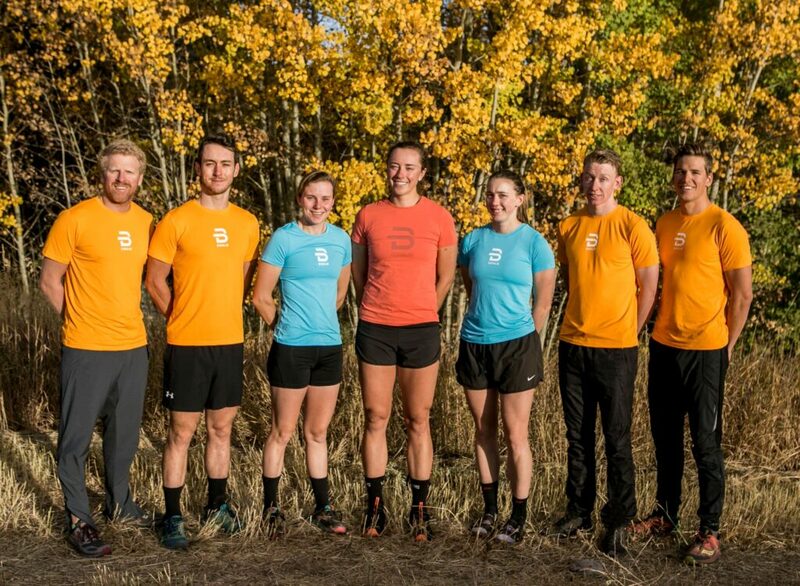 To help defray the costs of the Gold Team’s training camp in Bend, Oregon, at the end of May, the BMT is donating its share of proceeds from the official event poster to the squad. 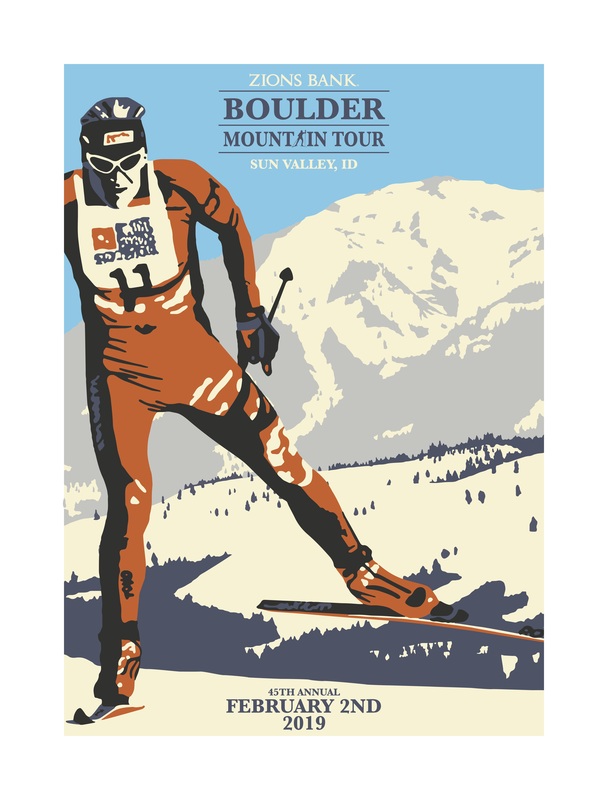 Hand-drawn and screen printed by local artist Jack Weekes of Type B Laboratories, the poster depicts Jon Engen charging down the Harriman Trail with the Boulder Mountains in the background. 30 out of 75 limited-edition prints remain at Independent Goods, located at 330 Walnut Avenue in Ketchum. The poster – which is $75 – is also available online at https://independentgoods.com. The official 2019 poster created by Jack Weekes of 5B Laboratories. 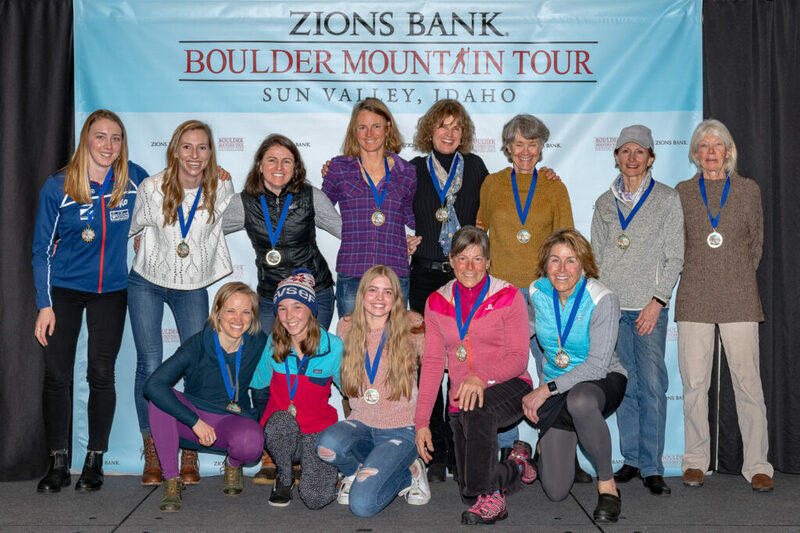 The Boulder Mountain Tour salutes the following nonprofit organizations and the wonderful work you perform. We look forward to collaborating with you again next year. A great marathon race starts as fast and hard as you can to build an early lead. 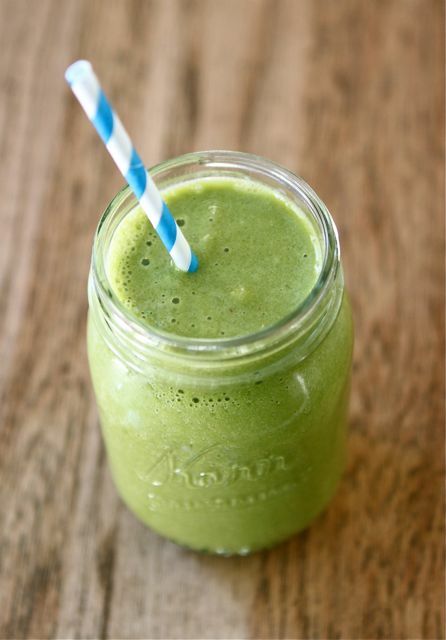 As you’ve seen in the Tour De France, that usually works SUPER well. 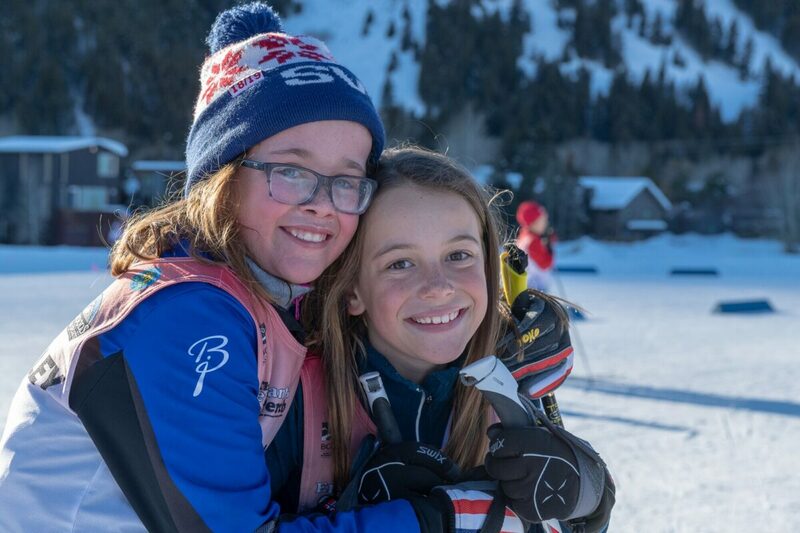 The start is important, but you’ve got 34 km to ‘race’; spend the start defending your poles and enjoying the gorgeous views – there’s plenty of time to make yourself tired later. 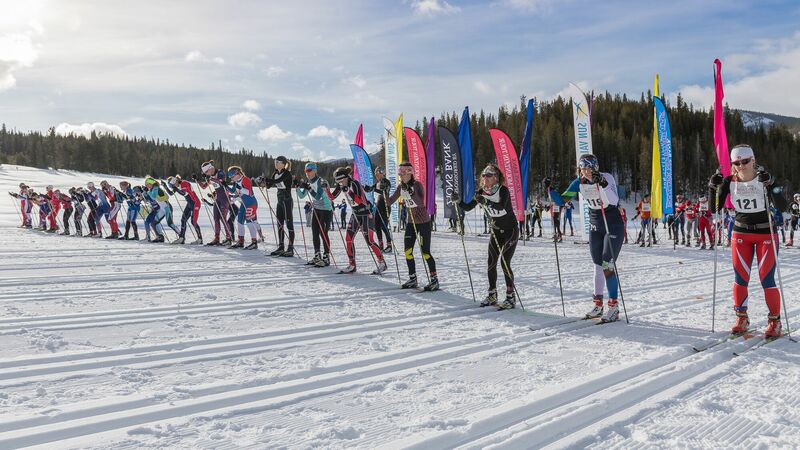 At the starting line, mind the short bald man with the bullhorn, he is amusing (especially to himself) and will warn the stragglers of the men’s elite field to allow the elite women who catch them to pass with ease…These ladies have already beaten you by two minutes, let it go! A kilometer or so into the race is a beautiful strip of pearly white to carry you across Highway 75. I will spare you the “stone grinding” jokes about what happens if you miss this white ribbon (you can’t). 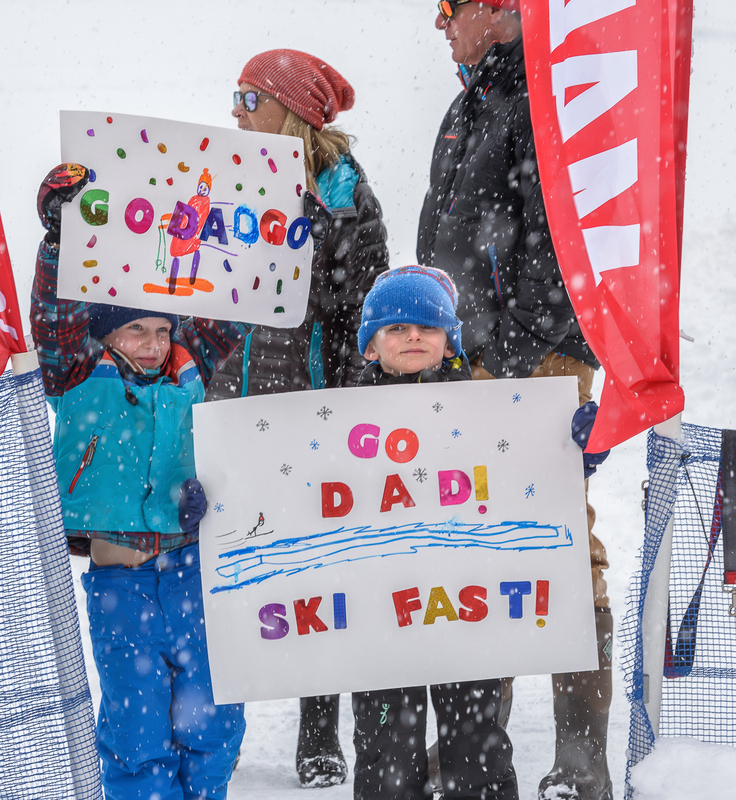 Note, this is a great place to knockout your competition, as a small nudge can send your competitor back to ‘go’ without collecting $200 dollars (actually, spending a lot more than $200 on a new pair of skis). In all seriousness, be light on your feet and head up and you will blast through this into Phase 3. One could call this a big climb, but they would also call the Midwest ground zero for big mountain alpine skiing. The challenge here lies in the trail width – it doesn’t afford a three-person wide “I’m more fit than you” contest. This will help those who believe that this is their spot to make a move – trust me, it’s not. Let the trail width save you from yourself. Relax and flow up the hill, look forward to the great view from the top and the fun descent to follow. 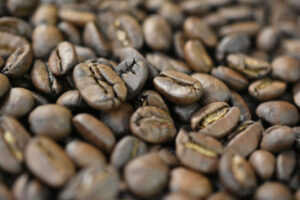 This overlooked bump will inform you immediately as to what kind of day you are having. 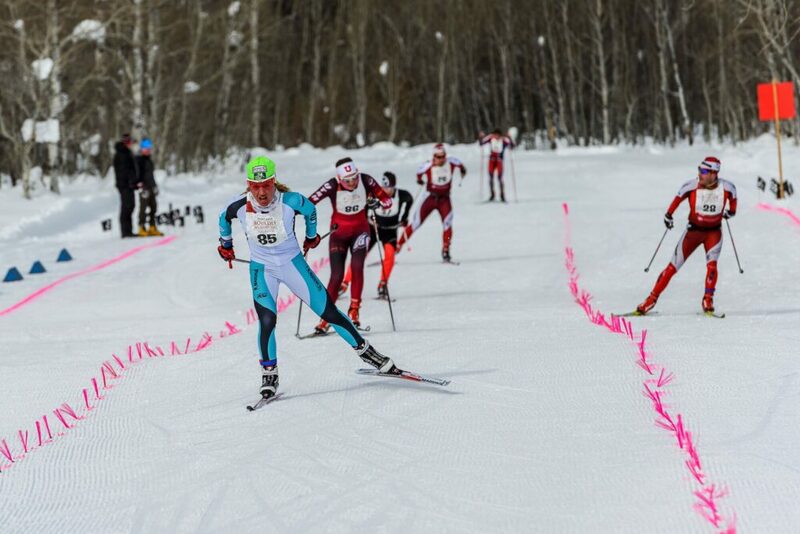 A SNEAKY uphill that takes 30 seconds to ski but can put you one minute or more ahead (or behind) someone who started it with you. I have watched President Truman drop Fat Man AND Little Boy on legit racers here…However, if you are feeling good, this can be a great place to strut your stuff. If you begin your clothing layers like with the same piece as Walter White in the first episode of Breaking Bad, you may regret it. 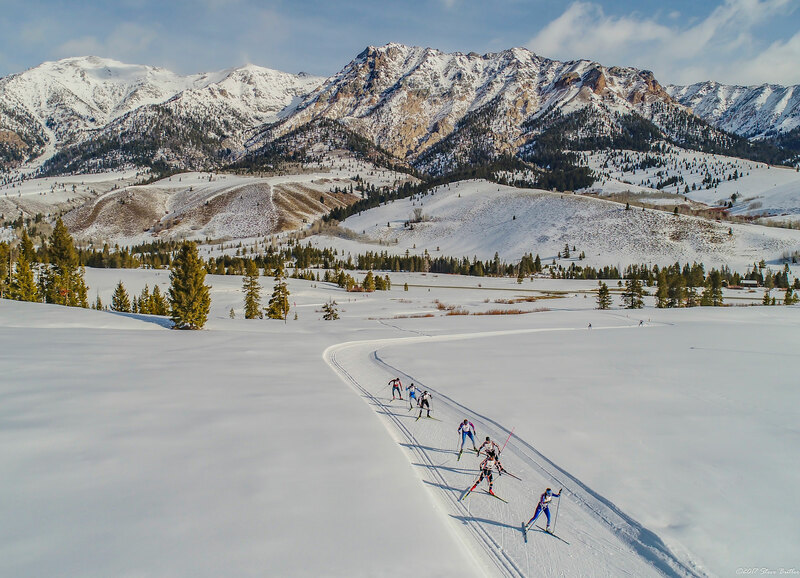 “Frostbite Flats” translates directly in skier to “wear your wind briefs.” Even if it is warm on the day of the race, wind block material can’t hurt. 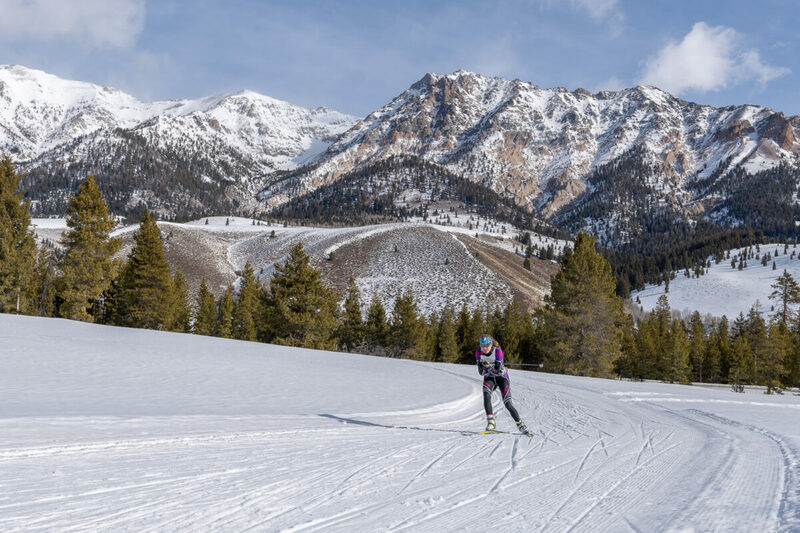 This section of the course (from Baker Creek to the finish) contains great open skiing, where you can ski big and let your skis glide out. Don’t forget to enjoy the amazing views of the Boulders and the Big Wood River! I’ve been the one moving it – and also the one losing it. The end of the race is narrow, twisty, and FLAT. 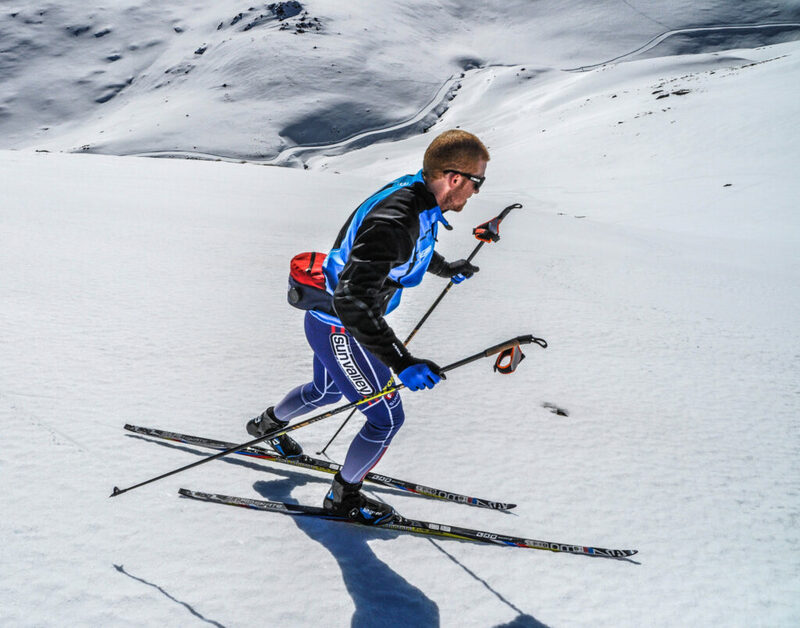 Think tactically, save energy, and do NOT start sprinting too early! The final drag is long, so be patient and time your ‘move’ such that you die (metaphorically only please) at the finish line, not 10 feet before it. Remember these six phases and you might have a good race, or not, it’s really up to you. 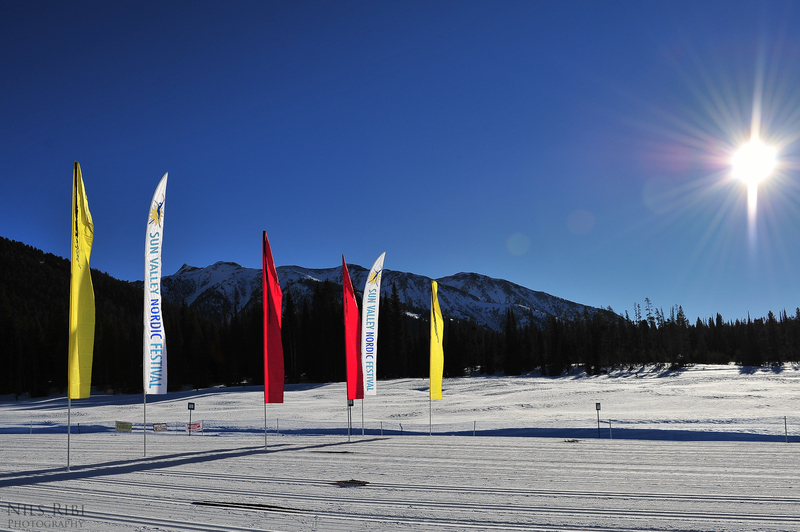 Write your own BMT phases; hopefully they involve fun racing, good weather, great snow, and amazing people. Enjoy your time on the Harriman Trail, it’s a beautiful place and you only get to race on it once a year (if you’re lucky)! 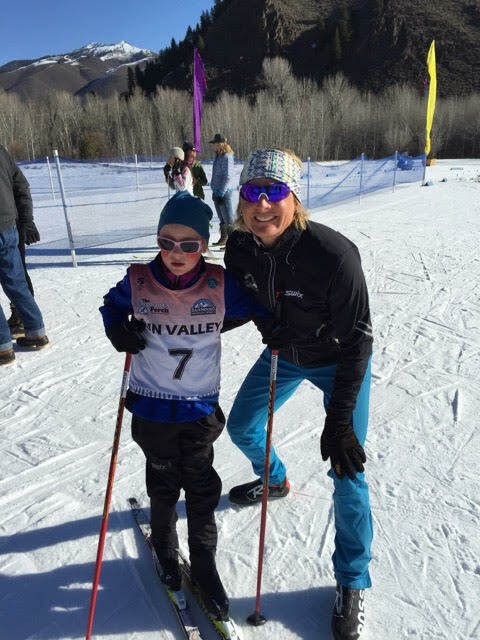 Matt Gelso is a recently retired professional ski racer with the SVSEF Gold Team. 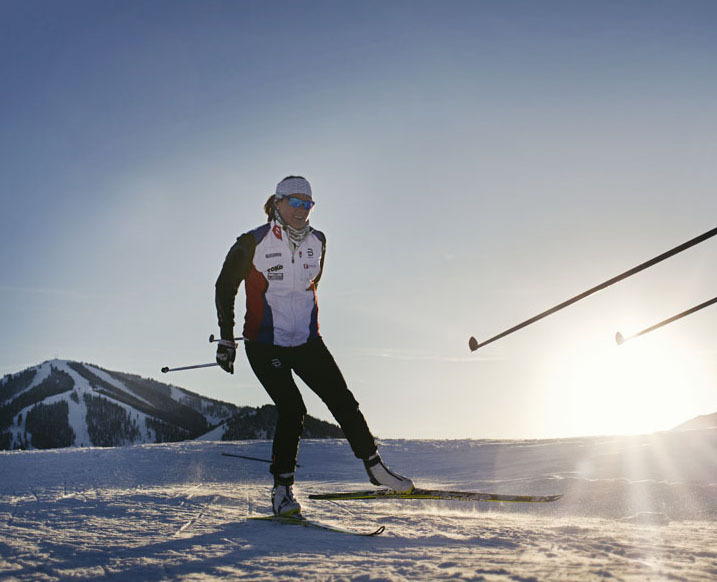 As a former member of the University of Colorado NCAA Ski Team and the U.S. 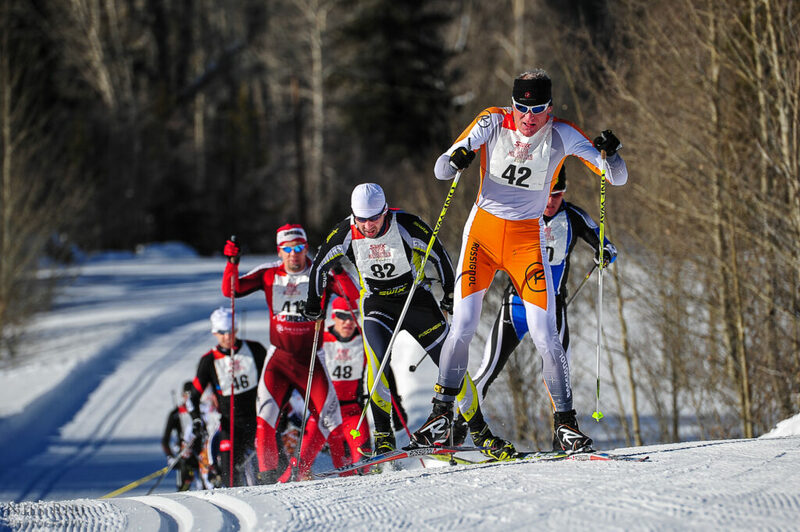 Ski Team, he has raced throughout the U.S. and Europe in World Cup and World Championships competition. He now deals commercial and residential real estate in the Wood River Valley with Paul Kenny & Matt Bogue Real Estate. He is last year’s 2018 Boulder Mountain Tour champion.